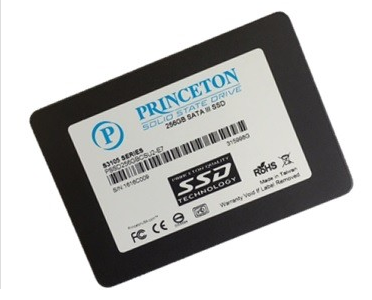 Get faster read/write speeds, longer battery life and improved durability with the Princeton solid state drive (SSD) range. With no moving parts, an SSD is much more rugged than a hard disk and is not susceptible to head crashes and damage to vibration or shock. With much lower power consumption than a hard disk, using an SSD will improve battery life on your laptop. This drive can be used as a direct replacement for the 2.5" SATA hard disk in any MacBook or MacBook Pro. With the addition of a 3.5" to 2.5" bracket (available separately), thees SSDs can also be used in any Intel iMac or iMac G5 as well as PowerMac G5s and Mac Pros. Not suitable for the MacBook Air which requires a 1.8" device. Please Note:This drive is backwardly compatible with 3gbps ports, so can work with macs before 2009 as well, but would not function at the same read/write speeds as a SATA 3 port.